What Is a Mutual Fund's Total Net Assets Under Management? While researching mutual funds, you may have run across a statistic called assets under management or total net assets under management. While the term might appear straightforward and easy to understand, knowing the underlying details can help investors make more informed decisions about buying mutual funds. What does this term, net assets under management, mean and why should investors care? There's more than meets the eye with this mutual fund feature. A mutual fund's total net assets, not to be confused with Net Asset Value (NAV), represents the total of all dollars invested in all share classes of the fund. For example, the popular American Funds Growth Fund of America (AGTHX) has several different share classes available for investors to buy. The net amount includes shares to be redeemed at the end of the day, which would have the effect of lowering the total assets under management, to arrive at net assets. 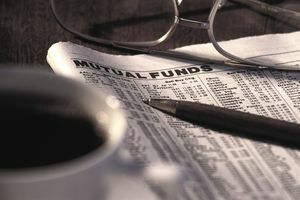 A mutual fund's assets under management (AUM), or what Morningstar calls "net assets," can be useful to an investor because a larger AUM amount can become a drag on the fund's performance, as it's more difficult and cumbersome to manage. A high relative size of net assets can also force a fund into a different style or category. For example, a small-cap stock fund with $1 billion in net assets may not perform as well as a small-cap stock fund with $500 million in net assets. This is because large investments in small companies can actually have the effect of adversely affecting the share price of the small company being bought or sold in the fund. For this reason, small-cap stock funds that have high net assets tend to buy stocks of larger-capitalization companies, which can cause the fund to evolve into a mid-cap stock fund, getting away from the fund's initial focus. This is called style drift. Size is relative, and it helps when an investor understands what qualifies as too much by comparing to averages, or apples to apples, so to speak. For example, net assets under management for an average large-cap stock fund can be in the range of $500 million. The largest large-cap stock funds can have more than $50 billion under management, although bigger is not better. It's helpful to look for average to below-average net assets for a mutual fund, and it generally holds that the smaller the capitalization of a fund, the lower the net assets an investor will prudently seek. However, extremely low net assets, such as $10 million or less, can be a caution. Again, refer to the net-asset averages for other funds within your target fund's category to make apples-to-apples comparisons and look for average to below-average net assets. Note that the size of an index fund's total net assets will not typically affect its performance like that of an actively-managed mutual fund. In fact, many actively-managed large-cap stock mutual funds with high relative net assets often begin performing like an index fund because the manager is forced to buy stocks that are in the index.